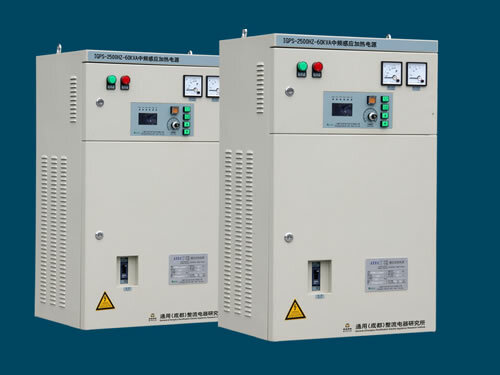 IGPS-series induction heating power supply adopts silicon diode three-phase bridge rectifier, IGBT chopper voltage regulation, H bridge IGBT switch resonant inverter and DSP microcomputer digital phase locked loop control technology. 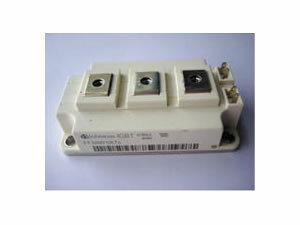 This medium frequency power supply has a high heating power control precision and stable output frequency. Protection functions are perfect with small volume and light weight. With good human-computer interface and nice visibility, this induction heating power supply can automatically store and record the real-time curves of output heating power, DC voltage and DC current. 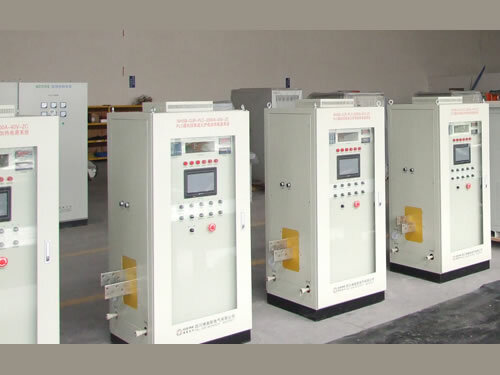 This medium frequency power supply can be extensively used in aviation, aerospace, weapon, ship, metallurgy, machinery manufacturing and other enterprises' medium frequency induction heating furnaces. 1. This induction heating power supply is of small volume and light weight. The volume is one half of SCR medium frequency induction heating power source, while the weight is one eighth. 2. Master controller of this medium frequency power supply adopts DSP microcomputer digital frequency tracking phase lock and instantaneous value of double closed phase-locked loop control. 3. 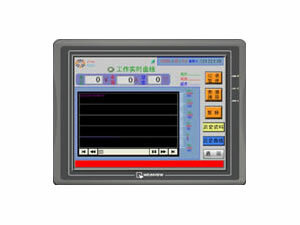 The induction heating power supply provides human-computer operation interface with PLC colorful touch screen. 4. 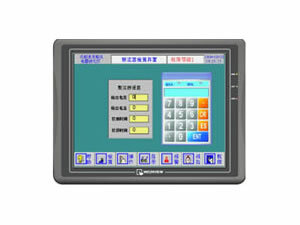 CAN BUS, PROFIBUS, ETHERNET, RS485 and RS232 optical fiber communication interface can be chosen to realize remote control or monitoring according to customers' requirements. 5. 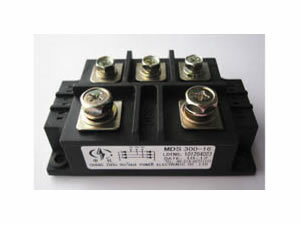 This kind of medium frequency power supply owns lots of protection functions: openphase, overvoltage, under voltage, quick fuse or fuse alarm protections of AC power supply; output over current and current limiting protections; output short circuit and instantaneous overload protections. 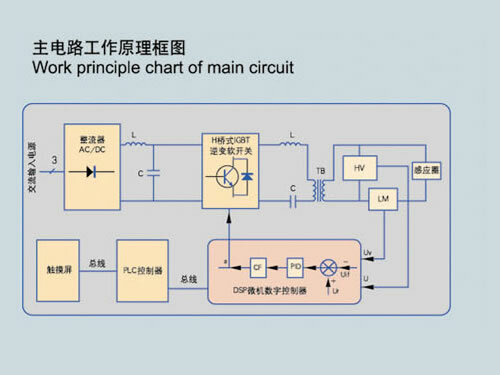 The induction heating power supply also has power frequency rectifier thyristor components, IGBT components and bus copper bar overheating, fan overheating, high water voltage and low block SCR trigger pulse protections. 6. This medium frequency power supply can be connected with computer through RS485 communication interface. It can also be stored by U disk then re-stored to computer, which is convenient to save customers' files. 7. This induction heating power supply conforms to national G3859-93 standards and general requirements. 8. AC filter inductor installed on AC inlet line side can stop harmonic wave produced from power supply from polluting power supply network. 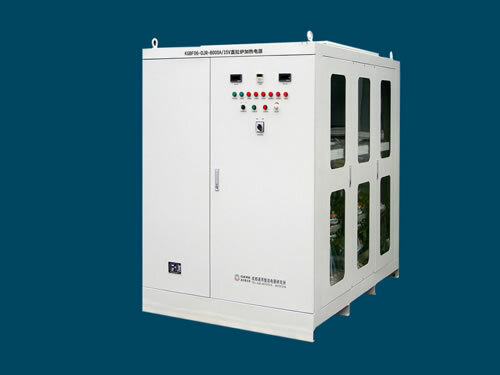 Chengdu General Rectifier Research Institute is a professional supplier of IGPS-series medium frequency induction heating power supply in China. In addition to this medium frequency power supply, we also produce czochralski furnace type and sapphire CZ furnace heating power supply. Our products have been exported to USA, Germany, Australia, Singapore, India, Brazil, Iran, Vietnam, Kazakhstan and Malaysia, etc.